The Toyota Prius, the car that started the environmental motoring revolution almost 20 years ago, has reaffirmed its pre-eminent position by winning the Green Award in the Auto Express New Car Awards 2016. The fourth generation Prius, launched earlier this year, has achieved the model’s greatest leap yet in emissions and fuel efficiency. At the same time, it delivers unprecedented improvements in ride, handling and driver rewards, underpinned by the first use of a Toyota New Global Architecture-based platform. These qualities helped Prius emerge the winner from a shortlist that included rival hybrid, plug-in hybrid and all-electric models. In their assessment of Prius’s qualities, the Auto Express judges were impressed by the car’s styling, its “hi-tech” interior and its easy-to-drive quality that “demands no compromises”. Further praise was given to the car’s packaging, with “no space sacrificed” in accommodating the full hybrid powertrain’s components. 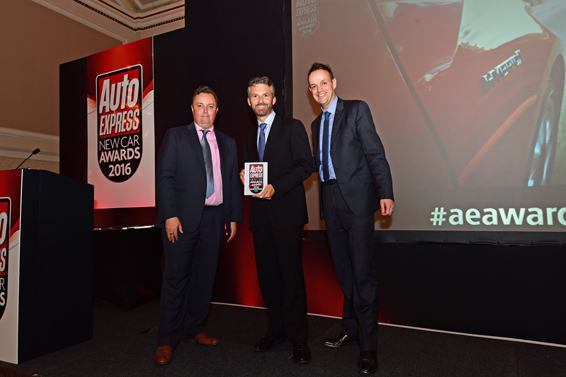 Paul Van der Burgh, Toyota GB President and Managing Director, accepted the award at a ceremony in London yesterday. He said: “In the years since we launched the original Prius we have succeeded in moving hybrid from a niche concept to a popular, mainstream powertrain choice. Why does Toyota compete in motorsport?